St. Patrick’s Day is one of the most iconic holidays around. 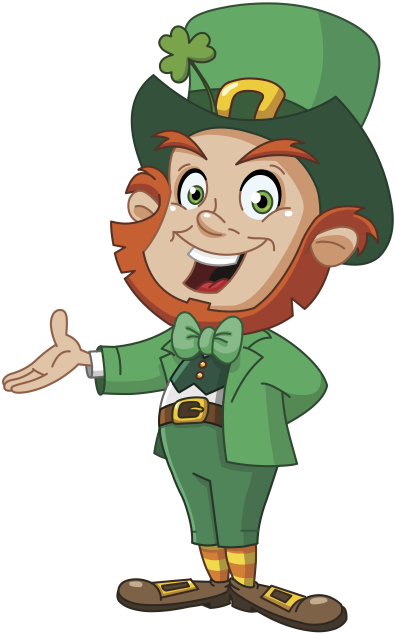 Many people believe that this special day is about leprechauns and how to catch them to get their gold. Truth is, St. Patrick’s Day is so much more. It started when a religious man named Patrick, shared the word of God with the Irish. He was responsible for the conversion of many people. He died on March 17th and the day was eventually set aside to celebrate his life. Over time, the meaning of this holiday changed. Instead of it being the day to remember God’s work in using a man to convert others, we created this picture of lucky clovers, rainbows, and pots of gold. So now is the time to talk about a few of these ‘myths’! When you think of St. Patrick’s Day, a four-leaf clover is something that most picture. Clovers usually have three petals, but on a rare occasion, they will have four. If you happen to find one of these mutant clovers, you are supposedly blessed with good luck. It has always been a fun game to search through a patch of clovers, hoping to find one with four leafs, even if it doesn’t give you good luck. The second most popular myth is that of the leprechauns. These creatures are supposedly a type of fairy, or faerie, and their trade is shoe-making. They are rather rude, tricky creatures that enjoy pranking farmer and small villages in Ireland. The only way to capture a leprechaun is to stare directly at it, and not to look away, even for a second. If one can manage to do that, then they can question the small, bearded fairy about it’s gold. Despite the fact that they wear green suits, and seem to be rather harmless, all leprechauns will run away if given the chance, even if they promise they will give you their gold after you release them. Word has been released that a new social will be occurring on Friday, March 20th. The only problem is that we don’t know where or what will be happening. In the announcements it only gave us this information. “We will be having another social on Friday, March 20th where we will be doing… something that will be announced on Wednesday during chapel.” It was hilarious when everyone shouted “Awww!” During lunch, many people have been coming up to me asking what we’ll be doing. I always respond saying, “Oh, at the social we’ll…” then I cover up my mouth and mumble random words. I always laugh when they walk away annoyed…. The reason this was being kept a secret is because it’s a fairly big social. It’s from 10:30am to 3:30pm on a day that we have no school. We’ll be having a barbecue with soda and dessert and traveling to the amazing, gargantuan Pleasanton Sports Park! We’ll be playing Prison Ball, Sumo Basketball, Ultimate Frisbee, and Capture the Flag. It is perfect timing because that day we have no school due to Teacher Prep Day. To keep things safe, some of the games will be grade-specific so a sixth grader won’t be wrestling one of the eighth graders. The clothes they recommend to wear should be “clothes that can take a beating”. There was a sale on Monday and Tuesday for only $10 but now the social is costs $15 dollars. This will be one of the best socials we’ve had this school year! St. Patrick’s Day has just passed. While we may know this holiday, we may not necessarily know the man and what he has done to deserve his very own day. 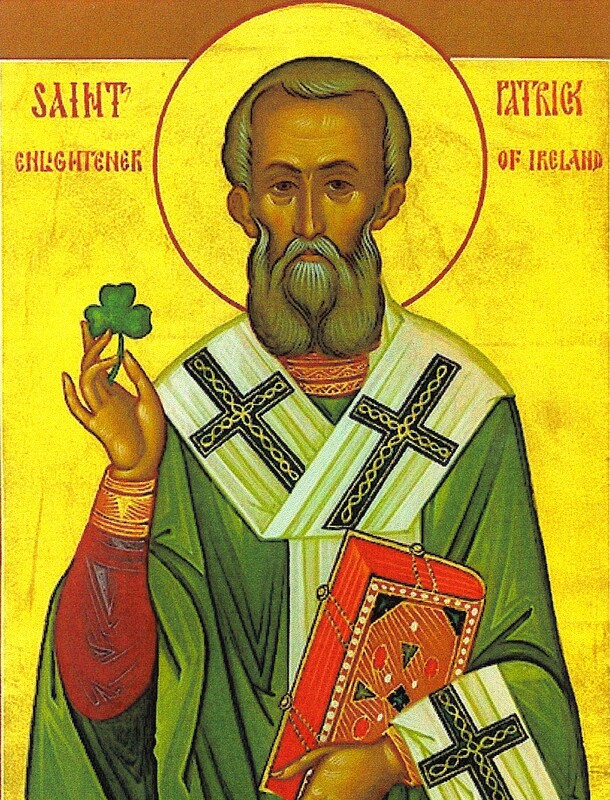 St. Patrick was born in the year 387 in Scotland. His parents were Romans who lived under British rule. When he was 14, Patrick was captured and enslaved. He was taken to Ireland and forced to herd and tend to sheep. At the time, Ireland was a pagan nation (meaning they believed in various deities). Through this adversity, Patrick eventually turned to God. Each day, Patrick’s love and faith in God grew stronger. Patrick remained in captivity until he was 20. He escaped from his captors after receiving a dream from God telling him to escape off the coastline. When he reached the coast, some British sailors took him back home. When he returned, Patrick received yet another dream telling him to go back to Ireland. After that, he began training to become a Catholic priest. After many years of study, Patrick was ordained by St. Germanus, made a bishop, and sent to spread the gospel to Ireland. When he arrived in Ireland in 433, he met a chieftain of one of the tribes. After an attempt to kill the bishop, Dichu (the chieftain) was converted by Patrick. He then began going all around Ireland, preaching about God, spreading the gospel, and converting many people. He even managed to convert entire kingdoms to Christianity! Patrick preached for 40 years until he died on March 17, 461. After a long life of suffering, he died in Ireland. Patrick’s faith and trust in God really helped to further the spread of Christianity. If you were a millionaire, wouldn’t you want to live in a nice house, or live the life of fame and fortune? Living lavishly: doesn’t it sound amazing? Many professional players have mansions and expensive cars. Some have normal houses and normal cars. But one man seems to be a bit different, so to say. 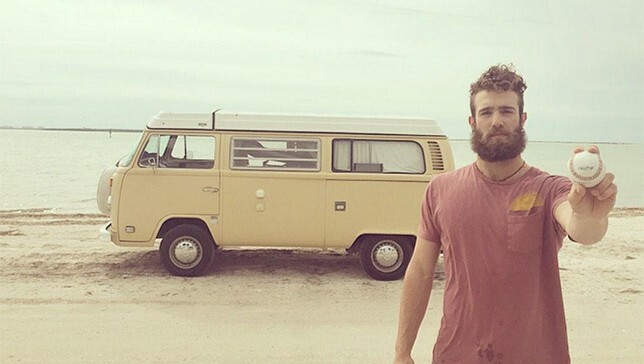 Toronto Blue Jays’ Pitcher Daniel Norris doesn’t need the life of luxury. Norris lives in a van; a $10,000 1978 Volkswagen Westfalia camper van (he calls her Shaggy, from Scooby-Doo). Camped outside behind a Florida Wal-Mart, he drives his home to the Toronto Ball-Field. Many Wal-Mart employees and other citizens have noticed Norris living inside his van. He’s been living behind Wal-Mart for so long, some Wal-Mart employees have given him the nickname, “Van Man.” Others have offered him money, thinking he was homeless. Norris goes through the story of how he isn’t homeless over and over again. Daniel Norris shows that you don’t need lots of luxury to live a healthy life. It’s not very difficult to see that OKC’s (Oklahoma City Thunder) Russell Westbrook has stepped up his game after Kevin Durant’s foot injury. 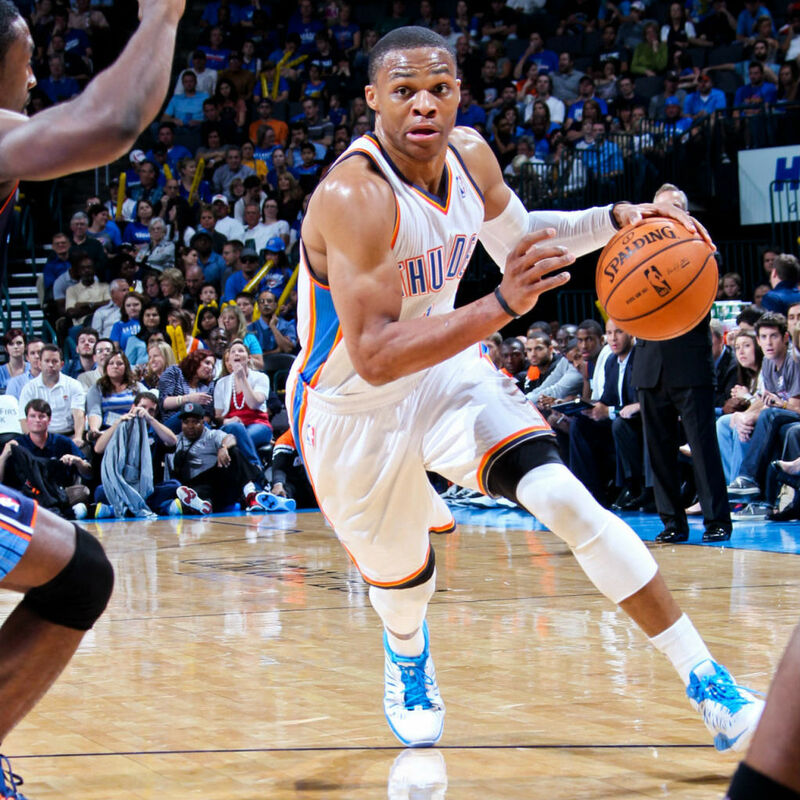 Westbrook has gotten six triple-doubles in eight games in the past month. He has had four consecutive triple-doubles in this eight game run. He is one of the very few players to ever record four consecutive triple-doubles. Russell Westbrook also joins Oscar Robertson as one of the only player to have recorded three consecutive triple-doubles with 35+ points each time! Russell Westbrook also joined Vince Carter as the only players with 45 points, 15 rebounds, and 10 assists in a game over the last 30 seasons! Russell Westbrook is bringing a performance to the game that the NBA hasn’t seen in years. March 18, 2015 in Redwood Community.